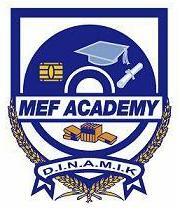 We shall be delivering these courses through IMEC in Malaysia. ISM qualifications combine the practice and principles of sales management to offer universal relevance. Futarium will be the new norm in education. It will reduce fraud, help protect intellectual property and link practical experience to certified qualifications. Klaspad delivers highly interactive blended learning courses. Our online blended learning courses at different levels continue to match the high academic standards you would expect on campus in any British educational institution. And we continue to exploit the latest research into online study to refine course delivery and increase the success of our online blended learning students. Our vocational online blended learning courses are particularly suited to busy, working professionals. Many of our degree courses are accredited by a professional body, so you can be sure that course content is relevant, and your qualification will be recognised and valued by your industry. So students needing a university degree or professional qualification to progress in their chosen career, but they don’t want to commit to full time or on-campus study, KABL are ready to help them achieve this goal. With more than an year of experience, we continue to expand in online blended learning. As a UK Institution, our dedicated Academic and Support staff are experts in their respective fields and they are supported by our specialists in online learning. We believe that education shapes the lives of people and we want to shape the education to fit their lifestyles. To be a global leader in immersive yet affordable education. The University’s quality assurance body inspects each potential partner. We only enter into formal agreements with those that are approved and put our learners at the heart of every partnership. Our growing network of partners are experts in their field and have a comprehensive knowledge of their local market. Many also have strong relationships with local employers and can offer post degree careers advice. Find out more about our four levels of partnership. We’ve rigorously assessed these specialist Study Centres and approved them to provide academic guidance and tuition to students via the Klaspad online learning platform. They may also offer face-to-face tuition at key stages but it is not compulsory to attend or take advantage of these offers. The Klaspad Academy retains full responsibility for all online and blended learning programmes and assessments. If you’d like more information about our online courses fill out the below form to make an enquiry. Alternatively, if you wish to make a specific enquiry or represent a potential partner organisation or publication, please choose a relevant team member to contact below. 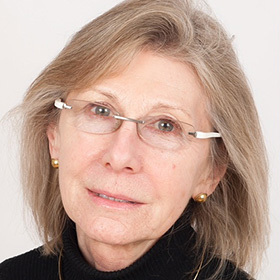 Dr. Penelope Hood, is a highly qualified educationalist with particular expertise working internationally in the development of collaborative partnerships and quality assurance in the tertiary education sector in developing countries in South East Asia and Africa. 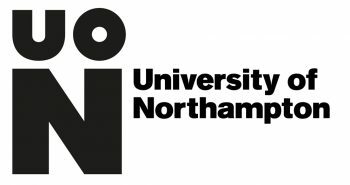 Positions held include Director of International Partnerships in the Lord Ashcroft International Business School of Anglia Ruskin University, Director of International Partnerships for The Association of Business Executives, Academic Council Member Asian Regional Training and Development (ARTDO), Member of the Consortium Tourism and Hospitality (CTH) Education Committee and Member of the Association of Business Executives (ABE) Education Committee. Other experiences include visiting Professor Postgraduate Institute of Management in Sri Lanka, the National Health Service, United Nations and various British Council funded projects. Dynamic and creative in problem solving a wide range of skills combine in the provision of integrated and culturally sensitive approach to projects. Her doctoral thesis investigated school leadership in a developing country, Sri Lanka. recent publications have focussed on talent management, development of senior managers and life work balance. 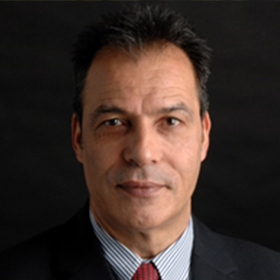 Richard serves as Chairman of UK Security Partners Ltd., and has worked at Buckinghamshire New University since 2012 as a Senior Lecturer in Security as well as Director of the Business School. Richard served as Press Liaison officer, in the UK Labour Party Government during Prime Minister Tony Blair’s second and third administration (2003-06). Under secondment, he later served as Cabinet Minister visits co-ordinator for Prime Minister Gordon Brown’s re-election campaign in 2010. He is the author of three security books, including Terrorism: Just the Facts (Heinemann, 2004) and the Security Consultant’s Handbook (IT Governance Press, 2015). More recently, he has worked as a UK Home Office Security Industry Authority (SIA) licenced Close Protection security officer for US and UK-based Olympics organisers and sponsor companies, including the London 2012 Olympics and Russia’s 2014 WinterOlympics. 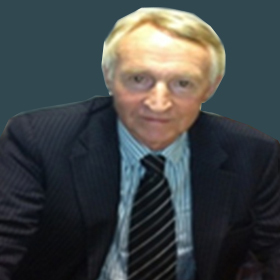 Richard has lectured regularly at UK security agencies including the NationalCounter-Terrorism Security Office (NACTSO), the UK Defence Academy and the UK Foreign Office. Hewas Secretary to the Police Business Advisory Group, the preeminent Metropolitan Police and City ofLondon business policing body during 2007 to 2009. 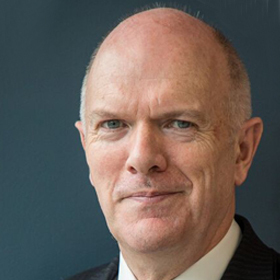 He served as Chief Executive Officer of CitySecurity and Resilience Networks (CSARN) from 2009 to 2012 and Executive Director of London First (2007-09). In this post he led on the development of a counter-terrorism focussed Business PolicingModel in central London, in partnership with the Commissioner of the City of London Police and Cardiff University. 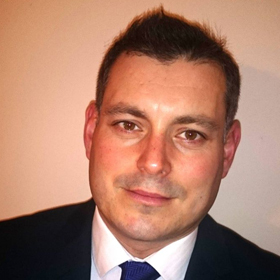 Roger has more than 15 years’ experience in Higher Education working for a wide range of Universities. He has worked and taught in over 30 countries. Have around one million words of publications. Extensive experience of online learning platforms - Blackboard, Web CT, FirstClass, Eluminate, Moodle, Adobe Connect, Klaspad. Roger has completed a number of video lecture programmes for a number of providers and developed more than twenty distance learning programmes using a range of platforms. He has successfully managed a wide range of accreditation processes including American national/regional/state, OUVS, QCA, BAC, SQA, UK University Validation and QAA. 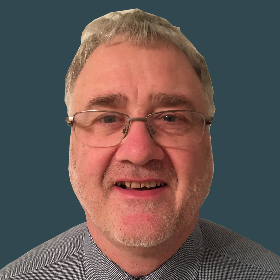 Roger has been involved with the ISM since 1986 and is responsible for managing and developing ISM’s business and internal organisation. He brings a commitment to positive change and he will be seeking to further develop the quality and responsiveness of ISM’s activity, as well as providing stability and renewal in a rapidly developing enterprise. Katie has a high profile industry spokesperson, worldwide trainer and conference speaker (including UK, Europe-wide, Russia and China), a high-performing executive with proven international expertise in strategic consultancy encompassing change management and business transformation, AI, marketing, PR and social media. Expertise across all industry sectors with blue-chip brands. Successful campaigns for NatWest/RBS, o2, Accenture, PA Consulting, Orange, Arsenal FC, NHS Trusts etc. 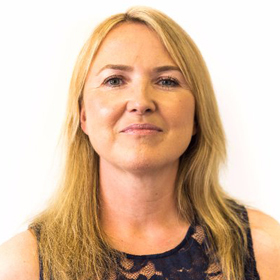 She has formed EMEA Director at Text 100 Ltd, part of Next Fifteen Communications Group PLC and managed a team of 120 staff and revenue of £10M. 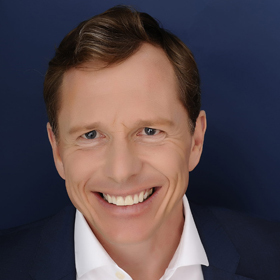 Luke Minshall (LM) is a highly experienced facilitator of leadership and management development and is an accredited Coach (ICF); he has delivered extensively on a wide variety of people change projects and culture change interventions over the past 11 years. Luke is fluent in English and works to create behaviour change and performance improvement across multiple cultures and within diverse settings to ensure leadership development and talent management is always achieved. Luke consistently achieves leadership development success for his clients. His expertise includes: building innovation cultures, applying creative coaching (links with music, art, spirituality and sport) to engage clients to bring about personal and professional change rapidly. He is skilled in the management of people change/assessment tools including application of Quest Profiler and MBTI psychometric tools, as well as the Gallup Strength Finder. He is also skilled in developing high performance teams. Luke is a graduate member of the British Psychological Society and International Coaching Federation in New York. Chris Matthews is a Senior Lecturer and is the director of marketing, recruitment and admissions. Based in the School of Business here at LSBU. Prior to joining LSBU, Chris was a Senior Lecturer in Strategy and Business Skills, and Course Leader for Global Business MBA at Coventry University London Campus. Chris gained his MBA from the University of Hertfordshire in 1991. 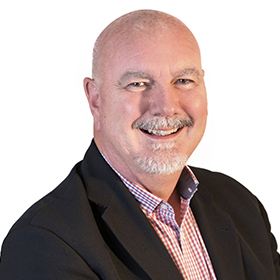 Prior to moving into Business, Leadership and Management education Chris enjoyed a successful 35 year career creating, developing and running successful multi-national, leading edge technology businesses, managing operations in the USA, Europe and the Middle East. Chris specialises in developing start up companies and preparing organisations for IPO. 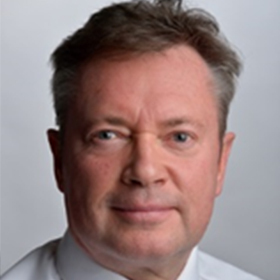 Chris has extensive public sector experience, having also served as a non-executive director for an NHS Acute trust for 8 years, where Chris chaired the Governance Committee, and served as a business governor for his local FE College. John has 30 years experience of higher education, after beginning his career as a practicing accountant. He has held a number of senior jobs within a University culminating in the role as academic Head of Department for the Lord Ashcroft International School where he introduced a Bloomberg trading room. John was heavily involved in student recruitment and international academic partnerships and regularly worked in Trinidad, Botswana and Malaysia. John has supervised ten doctoral students to completion. More recently John has held the position of Director at Fardings Ltd advising organisations on a wide range of HE matters including the management of a doctoral programme in central London. Outside of education he balances his time between travelling, researching family history, his allotment and his young grandson whilst being a long suffering supporter of Ipswich Town FC. 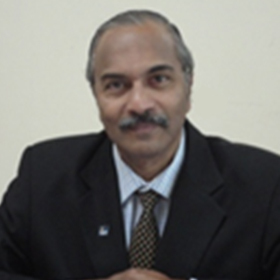 Dr Balan Dass, holds a Ph.D in Adult and Continuing Professional Education from University Putra Malaysia, a DBA from Victoria University , Switzerland, a Master in Education, majoring in Training and Development from University of Sheffield, UK. He also holds post-graduates diplomas in Human Resources Management. Dr Balan, currently teachers, trains, conducts and consults in the areas relating to behavioural sciences, human resources, training and development, and continuing education. He also teaches at tertiary level conducting classes at DBA, Masters’ and post and undergraduate level as well as professional programs, in the public and private sector universities, and colleges Professionally, Dr Balan is a Life member and was Deputy-President of the Malaysian Institute of Human Resource Management, and a Sr business consultant for many years. He has collaborated well with the many programs implemented at MIHRM for the development of employee competencies at various organizations. Dr Balan is also a frequent speaker at various HR conventions. Dr Balan has also received the ‘Excellent Facilitator’ Award from MIHRM. He is also a Certified HR Practitioner, (CHRP), PROSCI Change, WIAL Action Learning coach and a Trait Personality, UK certified. Currently he consults on HRM matters and facilitates for University Putra Malaysia and University of Bolton, UK. 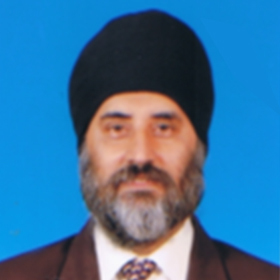 Jasdeep Singh has been in the insurance industry for more than 30 years. He has vast experiences in almost all departments within an insurance organization. He started off his career with MBf Insurans Sdn Bhd in 1987 as their Risk Surveyor and moved up quickly to be their Underwriting Manager. He subsequently headed their Management Information System Department and got both the Motor and Fire computer system implemented using the state if the art information technology driven by Sybase on Unix. He was later given the opportunity to run their Kuching Branch and thereafter became the Senior Marketing Manager for all MBf Group related companies with a turnover of RM40 million a year. He has a degree in mathematics from the University of Malaya and a MBA on Strategic Management from the University of Institute Wales , Cardiff and a MBA on Marketing Management from Cardiff Metropolitan University, UK. Jasdeep also has AMII professional insurance qualification and was their best student for the course. He currently is lecturing at MII for most of the AMII subjects. Jasdeep Singh has been lecturing as a part time lecturer at the Open University Malaysia in areas related to Human Resources, Human Capital Development, Marketing and Strategic Management. Jasdeep Singh is an expert on people behavior and always encourages his peers to execute extraordinary customer services and believes that a motivated and team spirits always ensures the success of any organization. Jasdeep Singh also did a lot of Personal Development Training for both his staff and agents nationwide . Professor Selvaraj Oyyan Pillay received his PhD in Biochemical Genetics from the Department of Genetics and Cellular Biology, University of Malaya in 1977. He is a trained scientist in the field of animal and population genetics, has worked closely with the Australian Centre for Agricultural Research from 1988 to 2002, and has represented Malaysia in the Steering Committee of the International Network for Genetics and Aquaculture from 1994 to 2004. Professor Selvaraj was one of the team members of the Antarctica Expedition Team went to the South Pole Scientific Expedition mission in 1992. The Expedition was organised by Akademi Sains Malaysia and the Australian Antarctic Mission. 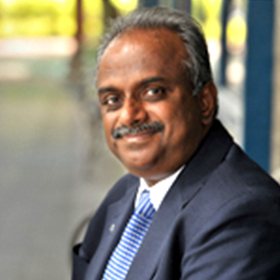 Professor Selvaraj joined Open University Malaysia in May 2005 to spearhead Institute of Professional Development (IPD-OUM) and the School of Lifelong Learning (SOLL). Since then IPD-OUM and SOLL revenues has grown two folds annually, Professor Selvaraj has led the group on its major strategic initiative to expand into extensive network nation-wide and overseas. As a Link Tutor Mathew provides academic leadership for the programme which may be delivered at various locations as well as at the partner, supports development through validation; attends SSLCs and assessment boards, develop the annual program plan with the partner and ensures the maintenance of Quality Portal. As the Academic Programme Manager David is responsible for providing support in ensuring that issues of programme quality are updated and implemented; he will oversee the moderation process and make sure that programme teams conduct moderation in a timely manner for examination boards; he will also make sure that course committee meetings and course monitoring procedures are accomplished. Professor Cedric Bell (LLB, LLM, Barrister, PhD) is a well known freelance international academic entrepreneur, lawyer and experienced conference speaker.